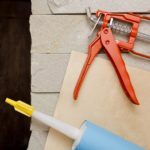 If you have a shed or other “outbuilding” on your property, you have probably come to realize that these structures often become public housing to all kinds of nature’s little critters. Especially, mice! And who can blame them? Most of the time these structures are quiet and undisturbed. They are also mostly warm and dry. That cushion over there makes fantastic bedding, especially when it is shredded into tiny pieces. While that bag of bird feed and those buckets full of rainwater, provide all the requirements of a warm and cozy abode. Getting the hint? 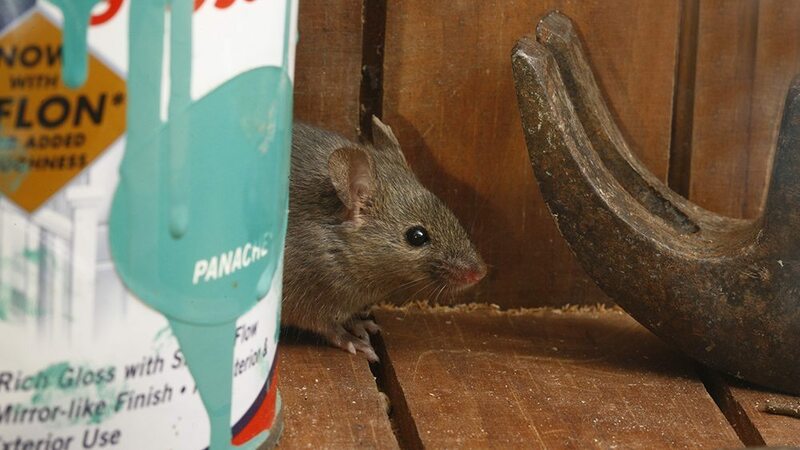 Well just to be sure… here are a few tips for making your shed a bit more pest proof and less likely to be used as shelter by mice. Keep your shed well sealed. Mice are well-known chewers and climbers. That’s because much of their foraging and nesting habits require lots of chewing and climbing. Also, believe it or not, their incisors keep growing. Therefore, chewing on things helps to keep their teeth in shape. All that said, mice can and will take the smallest of holes and chew at it till their head can fit through. Once their head fits in (as small as a dime-sized hole), they understand the rest of their body can follow. Even if that hole is very high up. So in short, you will want to inspect your shed regularly, both high and low, for holes, gaps, cracks, and crevices. Then seal them up. Don’t leave food sources available. 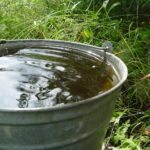 While this may seem like a no-brainer, you may want to stop and consider what may be considered a food and water source for mice. Mice are opportunists and eat a wide variety of things. As omnivores, mice will usually go for the most readily available food source in the general area. As mentioned before, it could be the birdseed that is not sealed up in an airtight container. Or it might also be the acorns you raked up into a pile in the yard but forgot to remove. Other just as likely food sources include the trash, compost, pet food, grain, nuts, seeds, vegetable gardens, etc. Also, consider what water sources are nearby. Are their leaky spickets, hoses or pipes? Perhaps, puddles, streams, buckets, tires, birdbaths, water features, or kiddie pools? Eliminating as many of these habitat friendly features as possible will make your shed a less desirable housing unit to mice. Don’t leave anything for them to nest in. Now we know the whole point of a shed is for storage. Which means all sorts of random things can end up there. However, if you want these items to remain in good working order, as well as, pest and damage free, it is worth considering a few things before throwing it in the shed. Fabrics and fibers, especially those that include a fill, like fluffy cotton or cushiony foam, should be stored in tightly sealed, hard containers if left in the shed. This will make these highly coveted items, more difficult for mice to find and gain access too. 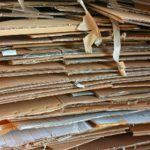 Newspaper, cardboard boxes, straw and other easily chewed materials are ideal nesting materials for mice. Consider not leaving them in the shed or lying around your property. And if you must, then keep them sealed in hard containers. Keeping your shed pest free, will certainly give you peace of mind that your stored items are safe from damage. Not to mention, the yuck factor that is created from creatures living in your shed. But If you have found that mice have already turned your shed into their winter retreat, call the professionals at Modern Pest Services, 1-888-997-3312 or get a FREE quote for the comprehensive HomeCare Green program that controls 60 common pests, year-round – including mice!